A few weeks ago I was thinking about this french onion soup dumpling I made a few years ago and it prompted me to wonder what else I could put into a soup dumpling. 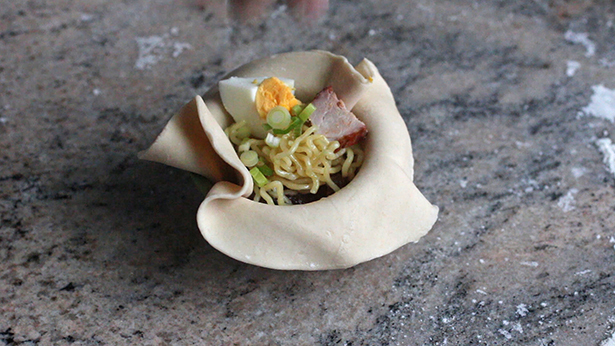 My first and only thought was immediately ramen and I couldn't wait to make the recipe. This is one of those recipes that takes a long time to make but for me personally, every step is really calming, satisfying, and beautiful. 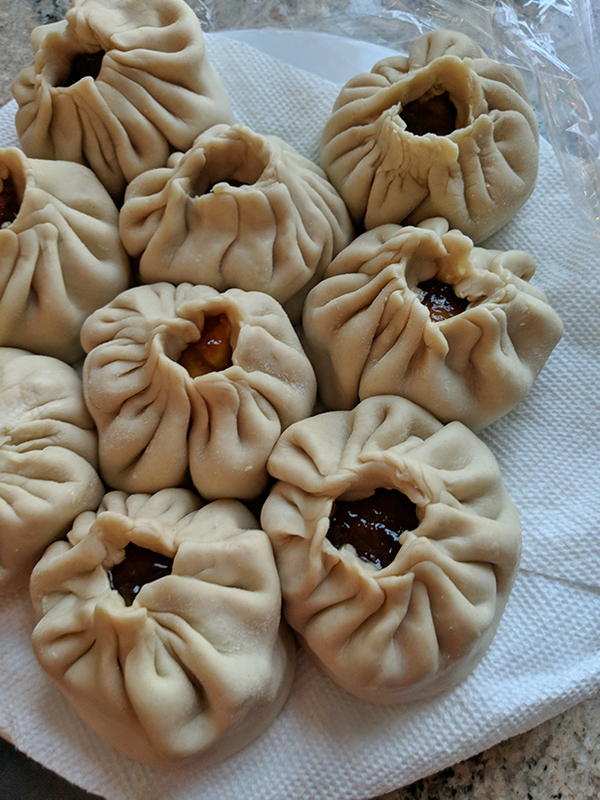 The stock slowly simmering in my crock pot for 24 hours made the apartment smell wonderful, seeing the success of creating a solid broth makes you feel accomplished in the kitchen, and forming the perfect little dumplings is like a form of meditation for me. The best part of all though, was serving them to people and seeing the surprise and delight of such a fun little dumpling. The broth was pork, pork bones, and pork skin. 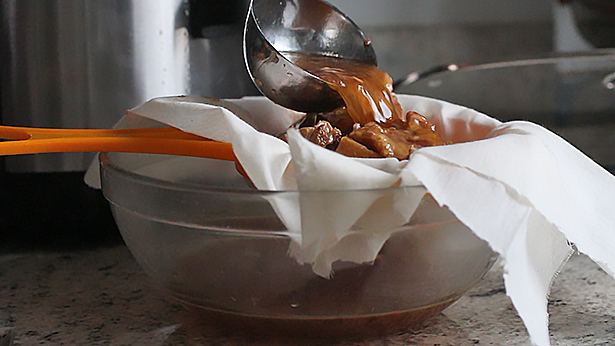 I used trotters and neck bones to give me the level of collagen needed for the soup to fully gel. so rich and flavorful! After it chills overnight it is solid and stuffable. 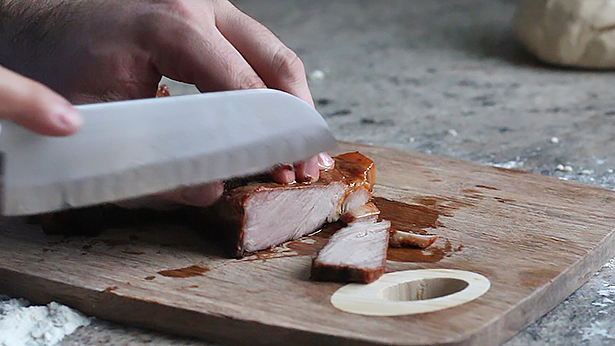 I followed this recipe for the char siu but ended up using country style boneless ribs instead of the pork belly. 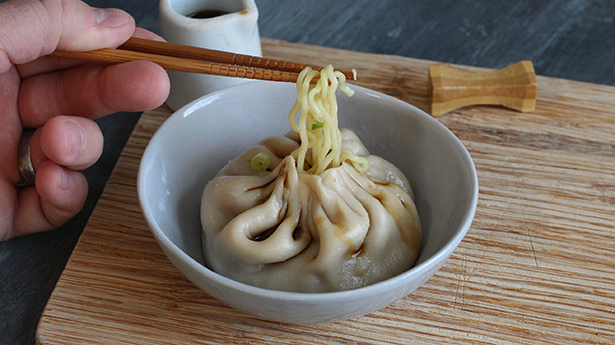 Get everything ready to go before you start filling the dumplings. Broth in first. 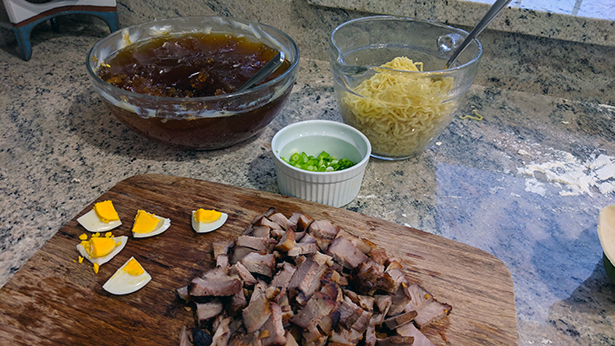 Then the noodles, pork, egg, and scallions. Then a little more broth of course. Wrap it up! Perfect. I dusted these in a mixture of flour and cornstarch to prevent them from sticking. Then just steam them up. So fun! 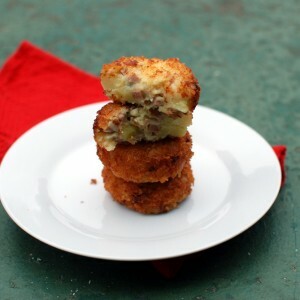 And sooo good too. 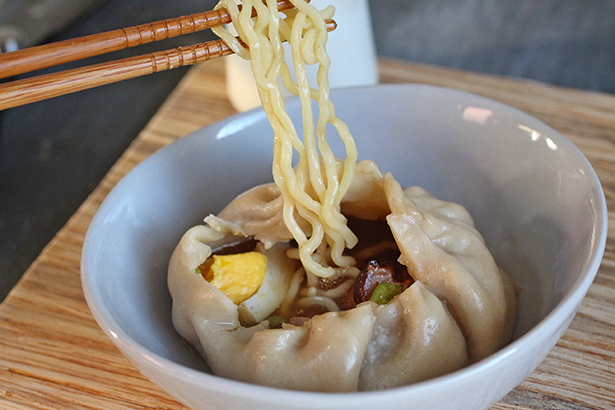 A whole bowl of ramen wrapped up in a dumpling! Make the broth: Add the pork and veggies to a slow cooker and top with water. Season with salt and pepper. Turn on low heat and cook slowly for 24 hours. 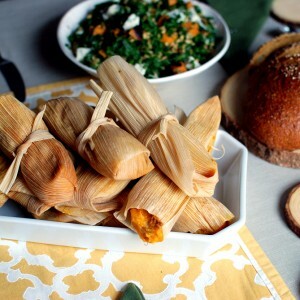 Strain with a cheesecloth. 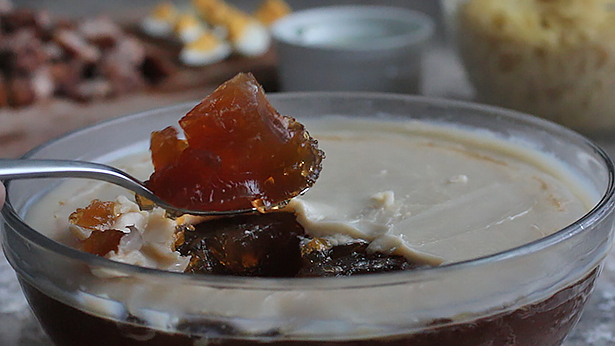 Pour into a bowl, cover, and refrigerate overnight. Make the wrappers: Put the flour into a bowl and pour the boiling water on top. Stir to combine. Add the oil and stir more. The dough will barely come together because it should be a fairly dry dough. 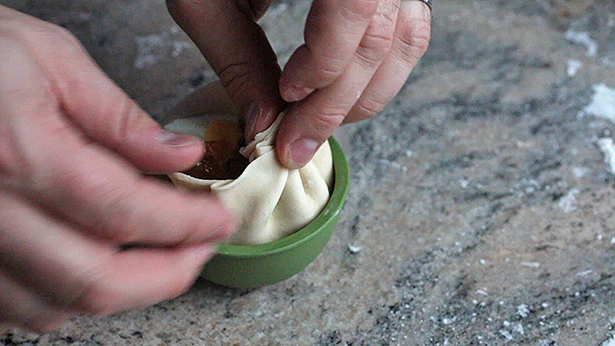 Pour out onto a clean surface and knead the dough for about 10 minutes until it comes together and forms a ball. Prepare all the remaining ingredients and have them ready to use. 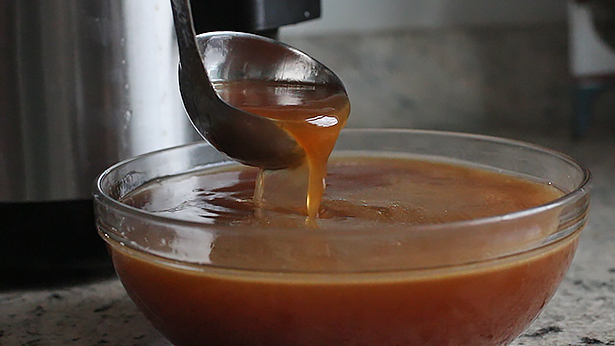 Skim the fat off the soup and make sure it has gelled up. Roll the dough to a medium thinness (I used a pasta roller on the exact middle setting) and cut 6 inch rounds. 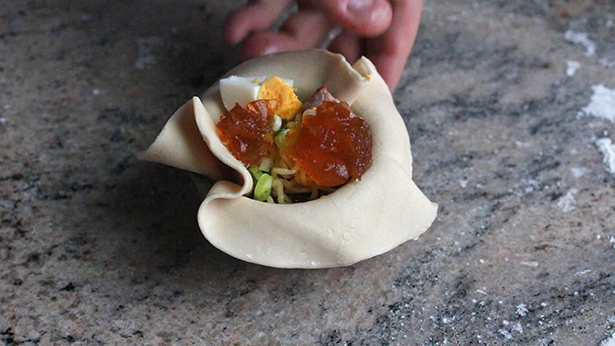 Find a small bowl to place the dough into and press it into the bottom of the bowl. 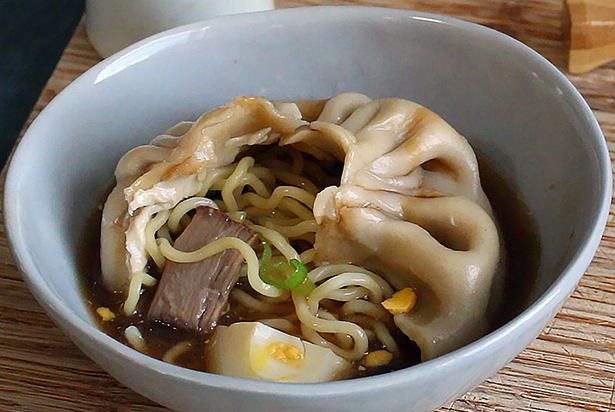 Fill the dough with about 2 tablespoons of the gelled broth, followed by one fork twirl of noodles. 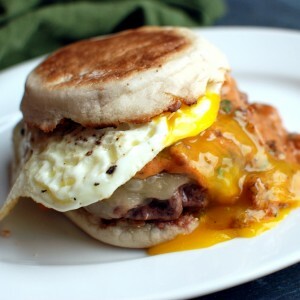 Add a piece of egg and one or two slices of pork. Top with scallions and another tablespoon of the broth. 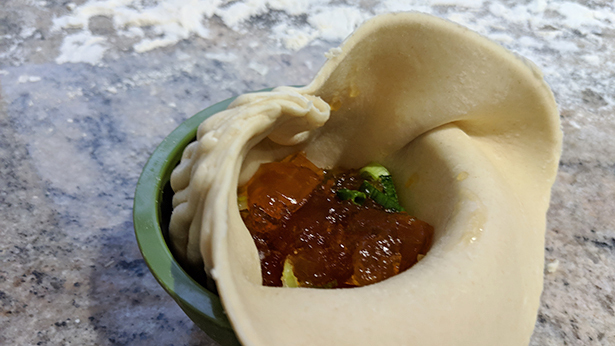 To seal the dumpling, fold a small piece of the edge of the dough over onto itself and repeat over and over again until you do it about 30 or more times. 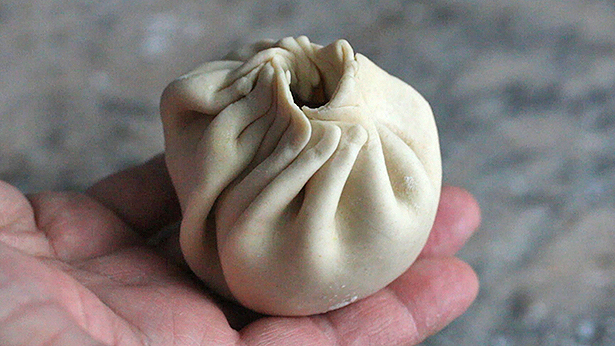 Keep your finger in the center to form the circle on top and fold the dough over itself until the dumpling is formed. 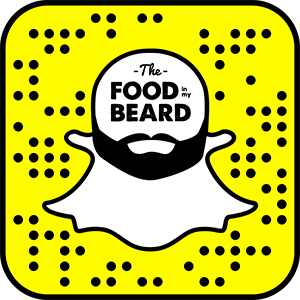 See above photos and video as a guide. 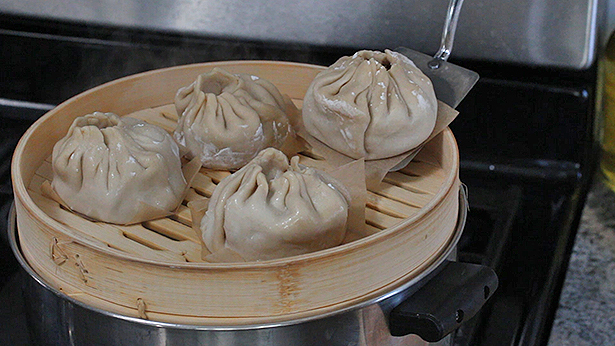 After all the dumplings are made, steam them on a piece of parchment paper with a little brush of oil to prevent sticking. Steam about 10 minutes until dough is cooked though. Serve in a bowl with a spoon and chopsticks, with a little soy sauce on the side.